Bread makes you happy. Bread makes you friends. Fresh baked bread, in short, can set most things right. It certainly heals the broken heart of our heroine Wynter. The novel, our book club's pick for the month, seems all fluff at first glance. Your typical story of a trophy wife about to be divorced looking for solace in a job that involves baking bread. But there is depth of feeling here. And there is nuance that makes "Bread Alone" a little bit more than yet another romance. I like the way Judith Ryan Hedricks builds the characters, going from their appearances to their lives to the emotions that intertwine them. And I love the fact that there are no minor characters here. Even the short-staying absentee cake baking partner makes a lasting impact. Wynter obviously does, in her vulnerable yet steely role, and in her transition. But bread remains the star - be it the age old recipes of the old bread baker Linda or the blizzard of new recipes Wynter brings in. Will my neighborhood grocery store never stop shocking me. Here I was just walking past the section with packaged vegetables and herbs. I noticed something from the corner of my eye and did a quick double take. Labeled green soybeans, sitting pretty on the counter were edamame. I love the salted steamed beans to death. And because you couldn't buy them in India so far, I would spend half my lunches and dinners on trips outside India eating plates of plain salted edamame in overpriced Japanese restaurants. But now, I can just bring home this packet, pop it in the microwave with a tbsp of water, sprinkle some coarse salt after a couple of minutes. And have the bestest guilt free snack on earth. I wonder what they will come up with next. Globe Artichokes? PS: If you have noticed the lack of pictures around here recently, that's because I dropped and broke my camera. Making do with my cellphone until I find a replacement. Since I do so little traditional Indian cooking, I was super thrilled when Srivalli came up with the Indian Cooking Challenge in July. But one month down, I got lost in the whirlwind of events that have deadlines at the same time and ICC sort of got left out in the melange. Then Srivalli announced gulab jamuns as the October challenge. That's like, my absolutely favorite sweet. There was a time I would pester whoever's going out to dine with me to stop and have gulab jamuns before we go home. And I still eat them every chance I get. And then the challenge got even better - Srivalli changed the deadline to November 15 so I had every chance in the world to try and make my favorite dessert. I have a memory. My mother, stirring the milk as it boils down to a solid mass. Me, a 10 year old, waiting eagerly as she stirs in sugar and a little ghee and hands it over to me. Apart from being being a delicious treat on its own, khoya (aka khova or mava) is the base for countless Indian desserts. If you are still wondering what it is, all you do is boil a liter of milk (more, if you dare) and then simmer it until the liquid's almost all gone and you are left with a rich, solid mass. It's critical to use a heavy saucepan. And dropping a couple of steel spoons in the milk as it starts to boil usually helps prevent burning. Apart from that, it's just solid effort in terms of stirring it for an hour or two, waiting for the transformation to happen. I haven't gone crazy. It's perfectly normal and legitimate for sourdough bakers to name their starters. And as of yesterday, I count myself among the privileged. No, I can't believe it either. But the starter I began last sunday is finally up and running. Twice during the past week, my starter gave up showing signs of life. Then I realized, that like any moody pet, this one doesn't like a change of diet. Feed it rye flour and it's happy. Change the food to plain flour and it begins to ebb. By and by, we have got to a stage where it expands every 8-10 hours. My sourdough flowchart says it's time to bake bread, so I baked some rolls. I think I am getting influenced by that Alinea chap. What else will explain this title up there? But then, this is a dish worthy of an Alinea-like title. You already know I like chickpeas. And I like spinach. But this combination...well, it's gobsmackingly good, even if I say this myself. The Chickpeas : Soak 1/2 a cup overnight, then boil until just tender. Heat a tsp of ghee and add 2 freshly ground tomatoes. Cook on a low heat, stirring continuously, until your tomatoes turn to a thick paste. Add salt, a pinch of red chilli powder and 1/2 tsp chana masala (okay, confession time - I didn not have chana masala, so I put in pao bhaji masala instead!). Cook for a minute or two to mix. Do not add any water. You will be tempted to do it. Just don't - trust me here! Add the boiled chanas (minus the water they were boiled in) and cook for 5 minutes or so until dry. I know you are eager to get to the salad. But for those waiting with bated breath to hear about my starter (you are, right? ), I have created a spreadsheet tracking it's progress versus the Debra Wink recipe I am using. Have a look here. Now, the salad. This is black rice that's grown in China. I think the legend of only emperors being allowed to eat it is a marketing gimmick. But I always fall for the name - it's forbidden rice after all. So I soaked 1/2 cup of forbidden rice for 2 hours. Then boiled it in plenty for water until it was cooked (just like pasta). It took around 20-25 minutes. Mixed in a thinly sliced spring onion, 2-3 chopped radishes and a handful of cilantro. For the dressing, I mixed juice of one lemon with a tbsp of olive oil, salt, pepper and sumac (for that extra tang and the lovely, lovely color). Whisked it together and poured it on top of the rice. The alchemy has started to work. When I got back from office tonight, my precious starter was full of bubbles and almost double from where I left it this morning. Oh! I am so excited. I've just mixed in 2 tbsp each of rye flour and mixed fruit juice and moved it to a clean container. This is the last dose of rye and juice it gets. If the magic continues to work, my starter moves to plain flour and water tomorrow. If not, well...we'd see. In the meantime, I have no pictures to share with you. But I do have an award. Kanchan has passed on the Presentation Award to me. Thanks a lot for the award, Kanchan. And I'd see you all tomorrow with an update on my pet project. I made calzone instead. Now, that's not pizza, right? All it does is start with the basic pizza dough - 1/2 cup warm water, 1 tsp yeast, 1/2 tsp honey and 1/2 tsp olive oil mixed and kept aside for 10 minutes. Then kneaded with enough flour to make a soft dough (and a pinch of salt somewhere along the way). Once it doubles, you punch it down, pull out a golf ball of dough and roll it. Here it is spread with pesto, sauteed mushrooms and grated cheddar. Left to rise again for 10-15 minutes. And finally, baked at 270C (or as high as your oven goes) until it browns. Now that's what I call breakfast. Macarons? That's something I had written off as "not in this lifetime" recipe after two failures in the past year. But then daring bakers came up with macarons as the October challenge. Partly because you can't miss two challenges in a row, and possibly because I just finished reading Dan Brown's The Lost Symbol, I had visions of Lisa and Ivonne in full regalia pointing at me. "You there, you are banished from the daring bakers kingdom forever". So I dutifully aged one egg white for two days, ground some almonds and sifted them with icing sugar. The next part is tough. You beat the egg white to stiff peaks and then fold in the almond/sugar combo. Practically every possibility - underfolding, overfolding, even breathing - can result in your macarons coming out flat and without the coveted "feet". I really hesitated before I bought my copy of the Hindi Bindi Club by Monica Pradhan. That was a year or so ago, and I thought the book looked and felt the same as the Joy Luck Club. Immigrant mothers and American daughters, so similar yet so distant - the basic theme of the two books is the same. But I loved the Hindi Bindi Club so much more. Because it was so familiar, and because I know and I can relate to the Marathi Meenal, Punjabi Saroj and Bengali Uma so much more. Also to their daughters who grew up in an alien culture and no longer know what's right versus wrong. I think the biggest reason I love taste & create is because it's almost like a treasure hunt. Every month, when Nicole pairs me with another partner website, I end up going places I would have never been to on my own. This month, my partner is hungrywoolf who in her own words is a British transplant living in Columbus Ohio. Her blog's a roller coaster ride of the food events and restaurant visits in Columbus (don't miss her taco truck nights). Then there are her visits to farmer's markets that I loved reading about. All peppered with some great recipes. Hungrywoolf had plenty of fall options for me to pick from, but Bombay still feels like summer. Which is why it's a salad I picked from my partner blog. Boiled baby potatoes and steamed beans tossed with basil, onions, capers and a tangy dressing that's got all my favorite elements (lemon juice, mustard, garlic), this salad made a great dinner last night. Did I ever tell you about this little secret of mine? I travel often to a city that has a connecting flight through Delhi. But I rarely ever book the connections the airlines give me. What I always do instead is find a flight that leaves me with a couple of hours of roaming time in Delhi. All for this cafe-restaurant called Choko-La. Set in the sprawling market next to Priya Theatre, Choko-La is a chocoholics heaven. Just like the Harrods Chocolate Bar in London, they sell single origin chocolates that you can drink hot or cold. I always order a hot chocolate that comes in a tall glass of not-too-sweet, milky goodness. While they are getting your chocolate ready, you can stroll over to their baked goodies counter and tell them to warm you a cinnamon roll. Light as air, it's the best cinnamon roll I've eaten anywhere, ever. Or you can order potato wedges that come with a great aioli. Or a grilled vegetable sandwich. Here's wishing you a festival full of lights, warmth and sweet goodies. Bombay Foodie's festive sweetness comes from Alka's Nariyal Barfi. I loved it when she got some for us at the blogger's meet so I thought I'd make some for diwali. Just a little twist though; I added a bit of citrus flavoring when boiling the sugar syrup and topped the barfi with candied orange peel. My travels with the trio of bakers from A Year in Bread have come to an end. Back in February, and simply on an impulse, I decided to bake the breads Susan, Kevin and Beth baked in 2007. From March that year to February 2008, they picked ten themes and each of them baked a bread for each. I gave two of the themes a miss, but the other eight were a phenomenal success. I might not bake Susan's white sandwich bread that often and have found another recipe for pizza but some, like Beth's Wheatberry Bread and Susan's Carrot Rolls are now staples. I think the experience made me a better baker. And I never thought I'd say this, but just like Beth, I no longer measure out ingredients when making a pizza. I've also found depths of flavors I never thought possible in a bread - like Beth's Pesto Rolls or this last one, Kevin's Gougeres. It's my mom's birthday today. And birthdays call for cake, even if the birthday girl is too far away to enjoy this one. I've perfected my chocolate cake a long time ago, but plain vanilla cake has so far eluded me. Not any longer. I've heard and read about Dorie Greenspan's perfect party cake so many times. And perfect it is. I can't find Dorie's book in India, but the Tuesdays with Dorie gang made this cake a while back and I turned to one of them for inspiration. Esi made two 4.5 inch layers with her recipe, so I knew this will be perfect for my 9X7 pan. I also knew that I am not going to frost the cake so ten minutes into the baking time, I brought the cake out and scattered dried cherries on the top. Rich and moist with hints of vanilla and notes of lemon, this is cake that's hard to share. I only hope I manage to save some for my lunch party tomorrow. I promise this is the last risotto you will hear about, for a while. But this was too good not to share. This was the first time I made a risotto with homemade mushroom stock rather than the cubes and let me tell you this, the difference is mindblowing. I heated 1 1/3 cup of the mushroom stock I'd made the day before and left it at a low simmer. In a pan, I heated a tsp of olive oil and sauteed 8-10 mushrooms, chopped into thin slices for a couple of minutes. Added 1/3 cup of arborio rice and stirred for a bit to coat it with oil. Poured in a glug of white wine. When the wine dried off, I added 1/2 cup of stock. It simmered away at a medium heat and I continued to add more stock, 1/3 cup at a time until the rice was done. With the last addition, I also added salt. At first I was intimidated by the Alinea cookbook recipes. Then I thought it couldn't be true. After all, Ultra Tex 3 can only belong to food in science fiction. But the more I read the book, the more I realized there was no need to make these recipes as is. Most recipes in the Alinea cookbook come with sub recipes that hide gems like vanilla pudding and cheese sauce. Or in this case, mushroom stock. The last time I made vegetable stock from a cookbook, it made me decide stock making wasn't worth the effort. This time, the Alinea recipe has sworn me off stock cubes forever. It's such a simple recipe. Chop half a pack of mushroom, a carrot and an onion coarsely, then pulse them in the food processor. Bring to a simmer with parsley, thyme, bay leaf and a litre of water. Simmer for 45 minutes, then strain and return to the saucepan. Simmer again until halved. Strain again. Cool. I thought you will be bored of seeing what I bring back from my shopping excursions. But so many of you asked to see my London shopping that I finally thought I will put this up. Cake can set most things right. At least for Ruth, heroine of "Eat Cake" by Jeanne Ray, the book our club is reading this month. She bakes when she's happy or sad or stressed. Basically, cakes are the ultimate comfort for Ruth. And then she uses these cakes to actually set things right with her life. You know what I like best about Ruth. Her firm belief that cake eating has to be a happy thing; not the "guilty I am breaking my diet" thing. I am totally with her there; even though I don't always agree with her solution to problems. But no one said this is a serious read. Instead, Eat Cake is one of those feel good books you pick up when you are lost for next reading idea. What's your biggest fear when you are travelling? Losing your passport? Missing your flight? Mine is getting stuck in a hotel room with nothing to eat except chips and bad chocolate. Which is why I always pack a bunch of granola bars and some nuts. Except this time I had a look at the list of ingredients and was super shocked at what goes into that granola bar. Just think of all that sugar and chemicals. So I'm packing my own granola this time round. The recipe was inspired by smitten kitchen, but I've managed to change it beyond recognition. For one, I made granola not bars. And two, I made it on stovetop rather than switch on my oven. So I had this pack of arborio rice for a whole year, and I did nothing about it. Then, a few days back, I made my first risotto. And I've been feeling like making a new one every other day. This one's my favorite so far. Like any other risotto, start by making stock. For my 1/3 cup of rice, I need 1 1/3 cup of warm vegetable stock. Chop 1/2 cup of spinach. Cut ricotta into small cubes. Grate cheddar and parmesan cheeses separately. How much of each of these three? Really, as much as you like. Are you sitting there scratching your head, wondering what I am doing blogging about a plain dosa. And not a very good one at that. Well, the thing is, I've wanted to try my hand at dosa making for quite a long time. That seemed to be the only way to get exactly what I wanted : crisp but not paper thin plain dosa. And finally, I did! There's no recipe for this one, because it's made of store bought batter. That's one good thing about Bombay. Every store around here sells freshly ground idli and dosa batter, so you never need think about soaking and fermenting things for 2 days and what not. It's pretty much instant. Buy the batter, drop a couple of tbsp on a heated nonstick griddle, spread it out as thin as a crepe, add a bit of oil, let it brown, then fold. Still to perfect the technique but the initial results were not too bad. It's like bircher muesli but better. What you do is mix 2 tbsp of rolled oats with 1/2 a cup of plain yogurt and leave them to soak overnight. Next morning, blend the yogurt/oats with 2-3 slices of pineapple (or another fruit; I think apples would be great) and a tbsp of no sugar strawberry jam. Raise a toast to a new day. What's a girl to do when all the home stuff stores in the vicinity go on sale at the same time. And I really only bought necessities, like pots and pans. And you can never have too many sunshine yellow bowls or way too many glass bowls, can you? Ah okay! so maybe the Japanese soup bowls were really not a necessity. But let's not get all technical here. Specially about my new quirky wine color mugs...anyway, just thought you might want to know what I have been up to all this weekend since I am certainly not cooking. Even with all the cooking I do, I've never made a risotto. Surprising, I know. It's just rice, right? But there's something about the precise technique that books and recipes describe that scares me off. Plus anything that requires making stock doesn't fly in my book. And I never ever have wine in my fridge. But I love eating risotto and I've had a pack of arborio rice hanging around for a long time. As I often do when making something the first time, I went to foodgawker and searched for risottos. Plenty of interesting ideas popped up, but this sweet corn risotto caught my eye. The recipe doesn't call for any wine, and this is just the season for local corn. And stock? well, I just used one of those nifty stock cubes. Thyme made a lovely pair with the fresh local corn I bought, and I added tons of parmesan and fresh pepper to up the flavors a notch. See! I made risotto and it wasn't scary and it was totally delicious. I had a sense of deja vu reading our book club's pick for August. Marsha Mehran's Pomegrante Soup is a story of three Iranian sisters who escape the revolution, flee to London, then land up in an Irish village where they set up a cafe. The book is replete with references to food, and has plenty of drama thrown in both as a clash of cultures and the memories haunting from the past. Now where have I read this before? You're right; the plot, down to the minutest detail, is from Chocolat. The village bully, the friendly folks who reluctantly get drawn to the exotic cafe never seen in these parts before - you've read everything from this story before in a French setting. Yet Pomegranate Soup is a pleasant way to pass a weekend afternoon. Certainly, everyone on the book club loved it. For didn't I say last month that the daring bakers challenges were getting to be too simple. And just a few days later, Angela and Lorraine, this month's hosts, responded with a Dobos Torte. I haven't heard of this Hungarian torte before and I read the eight page pdf of the recipe with growing apprehension. You'd know when I explain what a Dobos Torte is. It's a five layer sponge cake with chocolate buttercream, topped with caramel. Now I've never made a sponge cake before. I've made buttercream once but I wouldn't know how to apply it neatly on a cake. And caramel! Isn't it that scary thing that goes from just done to burnt in a second. It's good that flipkart sends you a mail the day they ship the books you have ordered. Or I might have fainted, or something. As it is, my heart skipped a few beats as I opened the brown packaging and came face to face with this most beautiful of cookbooks. Or rather, it's so not a cookbook. It's a chronicle of Alinea, the restaurant and the dining experience it's vastly talented yet whimsical chef Grant Achatz has created. I don't think I will have the courage to cook a single recipe in this book even if I can find the ingredients (right now I cant!). But at least in the meantime, or at least until I get to Chicago and eat at Alinea, I can gawk at this beautiful work of art. Is it really two years that Srivalli has been running her innovative microwave cooking event. She's prompted me to try my microwave for more than just heating several times. Just like last year, Srivalli celebrates the event anniversary with a potluck party. I took a dessert to the party last time around, but this time I was rooting for something healthier. I turned to last year's roundup, and there was this spinach rice. Valli, hope you don't mind getting the same dish on the menu again. This recipe is pure coincidence. I was baking shortbread last week, and ran out of chocolate chips to top the cookies. So, instead, I pressed an almond in the center of each one. One of these almonds was less than stuck so it popped out, and I just ate it right out of the oven. Bliss! I first thought I will pull out the almonds and eat them, each one of them. But then, I just decided to be nice and make the roasted almonds by themselves. This time around, I mixed half a cup of almonds with a tsp of olive oil, 1/2 a tsp of sea salt and a generous pinch of herbs de Provence. Then lined a baking tray with parchment and arranged the almonds in a single layer. Mimicking the baking time for my cookies, I baked these on the top shelf at 170C for 30 minutes, rotating once in between. The savory version was even lovlier, so much that you should make them right away. Really. I insist. I have always been a proponent of healthy eating. But somewhere along the line, with my new found love of baking, I've veered towards the devilish treats a bit too much. It's been fun baking those buttery cookies and chocolate-y cakes, but now I'm taking a pause and setting my diet straight. No, this does not mean you will only see salads over here from now on. And I am surely gonna bake whatever sinful decadence daring bakers come up with. But do expect more whole wheat treats rather than white bread; and some olive oil instead of butter. I make a start with this month's taste and create. Laura is my partner the second time round. 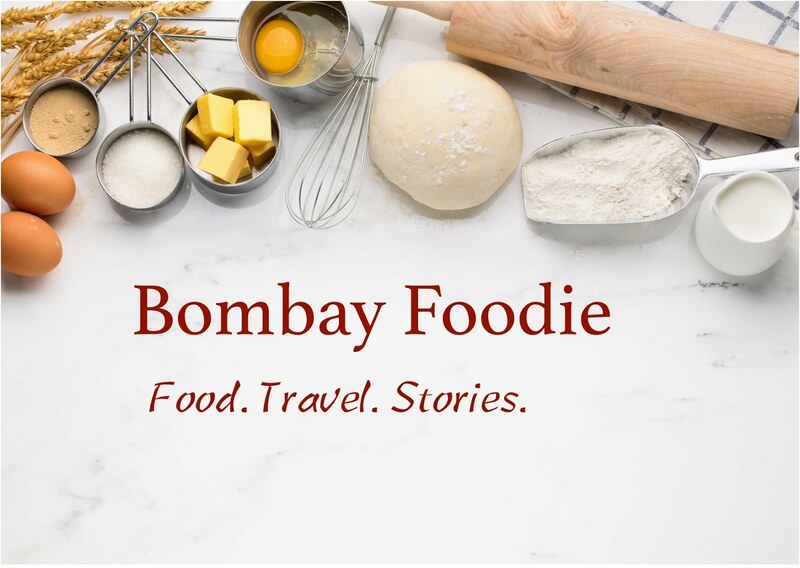 Even the first time, I was impressed by the range of her cooking; from lovely breads to tons of chocolate cookies to vegetarian dishes from around the world. This time, I picked her chickpea salad. Cinnamon, sugar, raisins and a house full of sweet baking fragrance. That's the bread I picked from the seasonal breads the three bakers from A Year in Bread baked in December. This was Kevin's recipe, and although I made one major change (replaced the eggs with an equal quantity of milk), the rolls came out real nice. Can't write more as my mom's here and we are off to the beach as soon as we finish eating the rolls. She goes back tomorrow, and once I'm over the paranthas and kadhi-chawal she's been feeding me this past week, I'd be back with some new stuff. Once, at a dinner in Hyderabad, I ate an egg curry. It was actually called an Egg Korma and had a brown curry very different from the red tomato based curries of North India. Nor was this curry tangy with tamarind. And it had a peculiar fragrant spicy flavor. I've looked to replicate this recipe for a few years now. And finally, it worked. I spotted this recipe over at Prasukitchen a few days back. Followed it just as she made it, and it was simply perfect. That spice I mentioned, that was kasuri methi - the missing link in all my previous attempts. And I have more things to be thankful for today. Aquadaze and Jaya, two friends I've come to know through the book club, have passed the Kreativ Blogger award to me. Thanks a lot, both of you! I have to pass on this award to seven other people. So off it goes to Harini, Sweatha, Shaheen, Lubna, Debbie, Laura and Bluespriite. I asked for English food, and did you guys awe me with your ideas. 17 lovely entries, and one of mine - great British food for you to pick from. If you read your Wodehouse right, you would remember those breakfast sideboards heaving with dishes. What I have instead is something even better: traditional yet healthy ideas. Bhagyashri had to search a bit for an English dish fitting her current diet. And did she come up with a winner, with this lovely beans on toast. Sweatha makes the traditional Scottish breakfast of Tattie Scones. That's panfried mashed potatoes, enough motivation to me to try these immediately. And DK, the brain behind AWED, delivers a breakfast winner with her English Muffins. The afternoon tea, with its formality, and its lovely sandwiches and cakes and scones, is my favorite part of British cuisine. Last night, I got a call from my maid/cook. Her daughter wanted a fruit salad for a school project and did I have any ideas. I did, of course, but this turned out to be a bit tricky. Thanks to next door supermarket, I haven't shopped at the local fruit seller's for a few months. So I first had to find out the range of fruits to expect. Pretty slim pickings, as it turns out. She had bananas, chickoos and pears. And probably some sour plums or pomegranate. But no kiwi or pineapple. Not even mangoes, now that monsoons have set in. And who's heard of sprigs of mint once the rain has started. I was also reliably informed that you can't buy heavy whipping cream at the local grocer's.